After migrating from Georgetown to the United States when I was nine-years-old, coming of age in New York City during the early eighties amid hip-hop’s boastful rhymes, and returning only once as an adult, my memories of Guyana often arrive in sporadic, jumbled bursts, like some divine remix. Recollections of home – a post-colonial nation with stunning scenery, nestled between Venezuela, Brazil and Surinam – often bubble up from visceral experiences: hearing a song, eating a tasty traditional meal, glancing at a yellowing Kodak snapshot. I felt a similar sensation when I viewed Mason Richards‘ lush, organic short The Seawall and spoke with him about his attraction to film and filmmaking. He described trips to Guyana’s sole drive-in as magical and transformative, and for the first time in years my mind flashed back to going to the cinema on Saturday mornings with my sister Shelley, and the ritual that preceded the flick of buying sweet corn and hot peanuts on the sidewalk along Camp Street. I also remembered movie nights at Mr. Spenser’s. A statuesque man with a deep voice, who lived across the street from my family on Soufriere Street in Festival City – an area whose original purpose was housing visiting artists during Carifesta ’72. Mr. Spenser had the biggest house on the block, a virtual palace to my child’s eyes. Every Friday night at sundown, he’d arrange lawn chairs and assemble a large projector in his backyard. He invited the neighborhood kids over and these weekly events were always a hit; everyone in the area knew about them, and though I couldn’t name any of the films that were screened, I remember those nights being loads of fun and, indeed, magical. Much has happened in the years since, but the images from The Seawall – mosquito nets, donkey carts, playing cricket in the schoolyard and grandma’s hand’s carefully cutting vegetables and cleaning fish – brought it all back. The story of a young boy wrestling with leaving Guyana, his grandmother and friends behind, and his grandmother trying to convince him (and herself) that going to America will only benefit the boy, tugs at the heart. Uprooted from traditions means becoming changed in the transplantation. 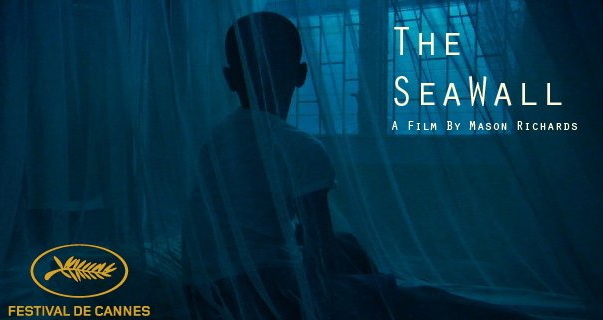 HN: Your short film The Seawall tells the universal story of a young boy about to embark on an emotional journey from his familiar home in Guyana, to a new life in Brooklyn. It’s an immigrant’s tale, and it’s a journey you made yourself. Is The Seawall based on your story? MR: The film is auto-fiction. I wrote the story based on my memories growing up as a young boy in Georgetown. However, I constructed the narrative and the characters. The film’s main character, Malachi, is based on memories of myself in Guyana, from going to school, the schoolyard in Campbellville, cricket matches, Guyanese food, walking along the seawall… everything. When we began filming in Guyana it all became real again – it just came back to me. Guyana is a beautiful country, but very poor. My family and I came to New York, to Brooklyn, like many others, to pursue the American dream. HN: What was your reaction when you learned The Seawall was going to be screened at the 2011 Cannes Film Festival? MR: When The Seawall got into Cannes, it felt like the ultimate validation of my work. It was kind of colossal to be among all of those talented filmmakers in France. It was also great to get feedback from all over the world – Germany, Spain, Trinidad – and it gave me a chance to put Guyana on the map as far as films and the arts. The whole experience was amazing and inspiring. I’m inspired to keep doing what I’m doing: make more films and push forward towards my dream. HN: You shot the entire movie in Georgetown. What aspects of Guyana were you attempting to capture? MR: I left Guyana when I was seven-years-old and never returned until I was grown. So with the film, I wanted to capture what I remembered most – the colors, the architecture, the flowers in my grandmother’s garden, the vibrancy of the sky, the water and, of course, the seawall. The primary location is my grandmother’s house in Georgetown, where I grew up. But there are so many other beautiful places in Guyana like the market, the wildlife and the countryside. I initially wanted to capture images of Kaieteur Falls and the interior, where my uncle is a miner, but wasn’t able to – maybe the next film. HN: Did you complete the film’s casting in Guyana? Mason Richards on set in Georgetown, Guyana with members of the Guyanese cast and crew. MR: I did the casting in Guyana; the crew was Guyanese except for my sound guy and cinematographer, who I flew in from Los Angeles. I found kids in the street and gave them a crash course in filmmaking. I trained them to be a part of the crew, as well as extras in the film. My cousins also helped, and I was able to get a couple of students from the University of Guyana as production assistants. It was pretty bare bones. As for the actors, I spotted “Malachi” in the market running around barefoot and thought he would be great. The grandmother, Marjorie, is a retired schoolteacher who lives in Kitty and is my mom’s best friend. I convinced them to take the roles. They had no script. I just told them what was happening in each scene and asked them to react as they would naturally in each situation; they delivered the performances! HN: Where did your interest in telling stories on film come from? MR: For as long as I could remember, I had a fascination with film, movies and storytelling. When I lived in Guyana my father would take the entire family to the sole drive-in theatre in country, The Starlight. We would go every Tuesday night in my dad’s little blue Mini. The screen was huge – so as a kid, I was so mesmerized by the whole thing. I loved seeing those grainy black & white images, and from my perspective as a child it seemed like the world on the screen was falling out of the sky. I remember seeing Abbott & Costello movies there. It was family time. We would laugh a lot, and that’s where my passion for the arts comes from… well, at least I think it all started there. Unfortunately, that wonderful place, The Starlight, that was so magical to me as a child today is just an empty lot. It’s been my dream to re-open The Starlight one day, so that kids can have the same experience I did. HN: Did you see To Sir with Love starring Sidney Poitier when it opened in Guyana? It was based on the autobiographical novel by Guyana-born E.R. Braithwaite, and the main character was Guyanese. I remember that feature filling so many Guyanese with pride in spades. Did that have an influence on you? MR: Yes. Mark Thackeray is an amazing character – educated, cultured. As a kid, that film made me feel I could do anything; it gave me a sense of pride and hope. HN: You earned your master’s degree in film. How important was education in your family growing up? MR: It was key! My mom is a schoolteacher, so learning and education has always been important in our household. I went to public schools in Brooklyn and I was also involved in the arts as a teenager with a group called City Kids Repertory. As a teen, I sort of got my priorities mixed up. I felt like I wasn’t challenged enough by my school, and I didn’t particularly like the environment, so I dropped out of high school in the 10th grade. I kept it from my mom, but when I turned eighteen I realized I was making a mistake. I took my GED and SATs in the same month, applied to college and won a full academic scholarship to Vanderbilt University. I had a strong academic base because my mom also home-schooled us when we were younger. I was able to pull through and compete academically at Vanderbilt. Then, I went on to get my masters degree in Film Directing from California Institute of the Arts. HN: You connected with City Kids Theatre Company as an actor, right? MR: That’s right. It was exciting. I was able to engage with and learn from other creative people as a teenager. I found that environment much more engaging than school at the time. We explored topics affecting young people through intensive workshops, and created theatrical pieces to encourage dialogue and discussion. People like Lauryn Hill, Malik Yoba, and Donald Faison also participated in City Kids. It was amazing! HN: Do you believe everyone needs to go to school to become a great filmmaker? MR: Not necessarily. Great filmmaking is about finding your own narrative voice and telling your own stories. It’s also about having creative vision. I also believe that filmmaking is a craft; and education is good for grasping and mastering a lot of the technical know-how of filmmaking, which is invaluable. I wanted to learn everything about how to make films in order to compete with Hollywood directors and make a feature production – so I made a choice to go to film school, but I don’t believe it’s for everyone. HN: So now that you’ve established your mark, what’s next? MR: I’m in the process of adapting a novel called Hold Love Strong by Matthew Aaron Goodman into a film. Matthew and I co-wrote the screenplay based on his book, and it will be my feature film directorial debut. It’s a coming of age story of a kid growing up in a Brooklyn housing project and his journey to find his voice. There are a lot of stereotypical images of people of color in film and I’m interested in presenting real, well-rounded, three-dimensional characters in cinema. I’m currently directing a short film produced by Film Independent’s Project Involve called Garcia’s Guest about a Mexican gardener in Los Angeles who deals with loss and isolation in a city that’s not his homeland. I wrote the script because you don’t usually see Mexican-Americans as the main characters in a film, but that’s the idea: to bring truth and life to his story. HN: What thread do you imagine might run through your work going forward? MR: Film is therapeutic for me. I like to tell the stories of the people I know, and the stories of people you don’t often hear about in cinema. I strive to tell the truth about their soul and spirit with a lot of realness. That’s what I want to do with my films – to tell the truth. My films are for everyone. This was an excellent article. It’s always inspiring to see young people like Mason Richards (and ‘OF NOTE’s Grace Ali) deliberately moving past various mental, sociological, and other types of barriers in order to achieve. Thank you. 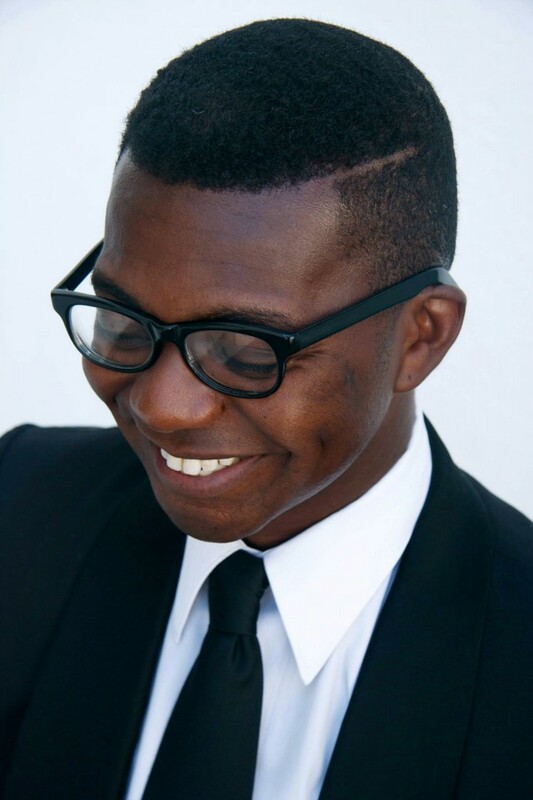 Mason Richards is a remarkable talent and is just emerging in the world of film. His film making story telling ability will take him to amazing places as he touches our hearts and souls with his art. I was totally touched by Mason Richards. Reading his interview brought back memories of my life in Guyana too. I lived along the seawall in Kitty Public Road and I too have very found memories the areas he has mentioned. I am proud to know that someone has brought Guyana to surface in film. Keep up the good work Mason…I will be looking for more of your inspiring film making. What a privilege to read about our Guyanese Born Filmmaker Mason Richards. His interview brought back so many happy memories of our lives on Public Road Kitty. Many people from Kitty will always have the memories of The Seawall in their hearts no matter where they live in this world. Mine is going for long walks to the bandstand, picnics, Sunday morning swimming with my dad and brothers and sister and not to forget Easter with thousands of colorful kites flying and singing in the air. Its a sight to behold. I too remember the days of going to the Cinema in Camp Street. and the Star-lite Drive In up the East Coast. Kudos to you Mason for being such a remarkable inspiration to us. We are proud of you. Looking to see “Hold Love Strong”. This article brought back memories for me. Being an american born daughter of Guyanese immigrant parents and only visiting once when I was 3 I remember smells and small snapshot memories. I also have a photo of my siblings and I taken with my father. The back of the photo says Seawall, Guyana. I never knew the significance of it or it’s location. I look forward to seeing this short film with my 9 year old son!